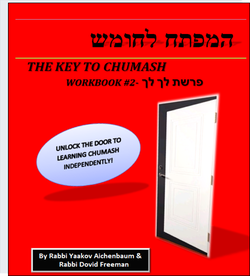 Chinuch Products - THE KEY TO TORAH: UNLOCK THE DOOR FOR LEARNING TORAH INDEPENDENTLY! The Key To Chumash workbook series complements the frequent words in The List. There are various vocabulary review exercises as well as exercises that teach the student how to identify the words in the actual passukim. The workbooks can be used while students are learning these parshiyos or they can be used as as an independent Chumash skills program. Please click on the link to view some sample pages from the workbook and its unique features. "Wow!...GEVALDIG!!! It is such a tremendous work that you and Rabbi Freeman have done! The precision is wonderful". 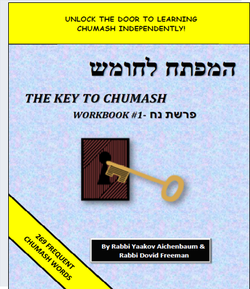 The Key To Chumash workbook series complements the frequent words in The List. There are various vocabulary review exercises as well as exercises that teach the student how to identify the words in the actual passukim. The workbooks can be used while students are learning these parshiyos or they can be used as as an independent Chumash skills program . 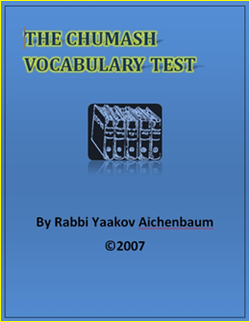 The Chumash vocabulary test is an assessment tool for basic primary grade frequent Chumash words. The words comprise 64% of all the words in Chumash. The test is useful for school-wide, classroom, and individual assessments. Please click on the links to view a sample page of the test and for more complete information. ​"After having administered the Rabbi Aichenbaum’s Chumash Vocabulary Test to our elementary school students, the need for further development of our Hebrew vocabulary curriculum was ever more apparent". 780 frequent Chumash words that correspond to the words in The List. 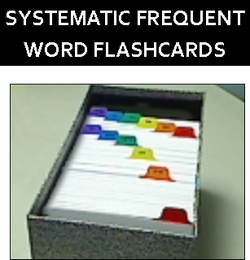 The flashcards are arranged according to the order of the parshiyos that the word first appears in the Chumash. There are also basic shimushim flashcards. 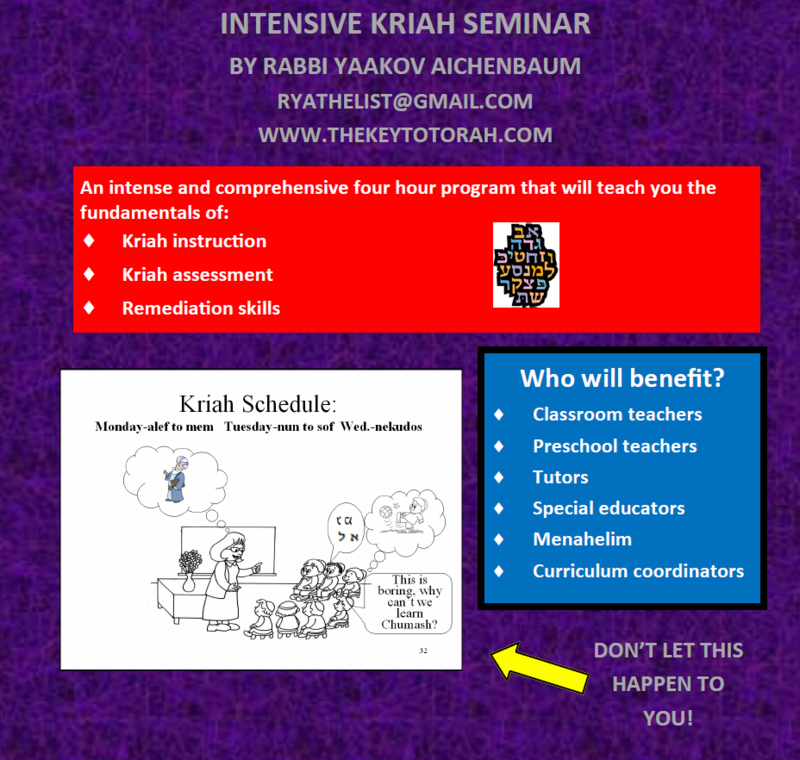 "I warmly recommend Rabbi Aichenbaum’s Kriah Course. I can certainly testify that R' Aichenbaum presents priceless advice and guidance drawn from a wealth of experience. He discusses a variety of problems and approaches to dealing with them".